Virtual reality is generally associated with the gaming industry, but its applications for business hold a very interesting promise. Here are some tips on how your company can profit from virtual reality. Developing a new product? Trial runs, reliability checks and tests cost a lot of money. Advanced virtual reality technology can help you tame these resources down in the long run and save thousands of dollars. It allows you to examine your products in great detail at the preproduction and testing stage. Avoid expensive mistakes and transform the way your engineers work. 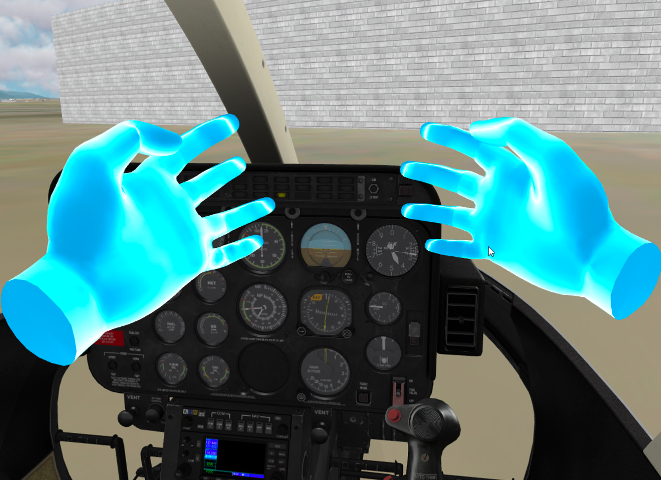 It is incredibly convenient to test control of new crane cockpit in a real-time, using virtual reality, instead of building a prototype. You can change positions of any handle, switch, remove or add any button. Test new setup on multiple operators experienced as well as novice and integrate their feedback, before building the first physical model. And the best part is, that you can also run a scenario of unloading a cargo ship and measure configuration effectivity. Thus saving the number of product iterations to its perfectness. And one iteration of complex product combining electronics and mechanics counts in millions of USD and can give you years of a head start against your competitors if performed in the right way, with the support of professionals, such as engineers, who are cooperating on such technologically challenging projects. Speaking of money, product design & prototyping is another field where virtual reality can effectively cut down the unnecessary costs. Virtual prototyping will enable you to see the product (or a building) from different angles, under different lighting or in various environments and help you make important decisions about materials or colors. Every design process needs time and iterations, but it is the ultimate goal of virtual reality to lower the number of physical prototypes needed and increase the precision of each and every iteration. 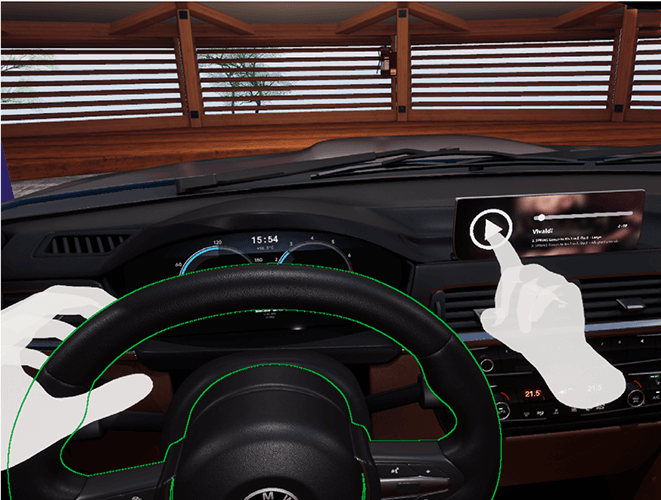 And if you can save one physical model, using XTAL virtual reality headset in the automotive process, where the one-time cost of creating such will be between 10k – 100k, it is immediately worth it. Investment in a new branch office redesign can be a risky business and it is a serious commitment. Having a hard time deciding whether to invest in interactivity or stylish furniture? Try it out in virtual reality first and explore the consequences of your choice in a risk-free manner. Designers, managers and your clients will all be able to see from every angle without the need to pay a physical mockup. No need to transport your design concept of new offices around your current locations. One high-quality VR headset with a computer can bring you there, saving literally millions of dollars on wrong decisions. Is your product too big to be transported to a foreign expo and shown to potential customers? A photograph or 2D visualization might not trigger the decisions, but a realistic 3D model in virtual reality might help you convince the buyers. They will not only see how the machine or a product works in real-time, but they can also interact with it. Startups, as well as established enterprises, use virtual reality to show their high-precision machines at expos and events abroad. Saving thousands of USD on transportation costs, because no physical machine is needed anymore and another $1000 – 5000 stand size needed for such a machine. And it multiplies with more machines needed. Imagine that you are an agricultural OEM and you would like to showcase a new line of your products. Instead of transporting corn-picker, three different tractors and feeding machines, you establish 6×6 ft VR space, where the machine can be changed on one click. -Have you seen the new car that goes on the market next week? -Yeah, so? We are so used to seeing photographs or visualizations of products that most of us are not really impressed by them anymore. Improve your sales by allowing your customers to really DIVE into the product and leave them wanting more. TIP: Do not rely on cheap visualization that might not do your product justice. Unlike the average commercial VR gear available on the market, VRgineers professional XTAL headset creates best-in-class crystal clear image that is almost unrecognizable from reality. The technical quality is achieved by high-density OLED displays with 5K resolution and our own patented non-Fresnel VR lenses. Catalogs and presentations belong to the past. In the future, your customers will decide between alternatives in a virtual reality where they can actually touch, modify and try your products before buying them. For example, customers can configure the new car according to their own wishes or select the furniture in a style and color they prefer. Without the need of actually displaying all the alternatives. Average car seller, who currently has 30 different variants of cars on the stock to be able to showcase all major configurations, will be able to lower this stock to 1/10 covering only different models, but all configurations will become virtual. Saving store space as well as lowering exposure of stock investment by hundreds of thousands of USD. Good consumer experience should be a crucial part of any functional marketing strategy. Enhance it with virtual reality: promote your new tourist attraction or a hotel suite in a unique and personalized way, or give people a chance to actually walk in the wonderful new office building that you are designing for them. Create a truly personalized experience and gain loyal clients for years to come. How better to sell a holiday trip to a paradise island, than letting potential clients fly over inside perfect, vivid and life-like virtual reality. Bringing specialists from different parts of the world together to work on developing your product might be close to impossible. Thanks to virtual reality, various teams or branches can connect and collaborate more effectively, share insights and innovate much faster. Average price for a flight ticket to visit design colleagues in Germany will be around $2000, include accommodation for few days, taxi and waste of time spent in the airplane and you are looking at $5000+. Instead, you can buy one XTAL and join to collaboration network, joining your colleague in few seconds from the comfort of your workspace instead. You will be working in the same environment, working on the same model and sharing feedback in real time. With maximum effectivity. Provide your employees with a safer, more productive way of training and education. From pilots and miners to maintenance or healthcare staff, your workers will be able to learn the routine procedures and practice their skills without the need for real-world training that can be costly or hazardous. Prices of pilot simulators start at $10k for a slightly better computer and data projectors and end at millions of dollars for a dome installation sitting on a moving platform. None of those installations is, however, able to deliver a full immersion. An intense experience, which can be achieved only by the highest quality imaginable in combination with a full field of view. Setup based on virtual reality technologies such as XTAL will always deliver a more intensive experience, than conventional screens and projectors for a fraction of price. Triggering the sales and getting the customer’s attention when all the competitors offer similar products at similar prices is difficult. Gain a competitive advantage by offering something new and bring fresh air into your field. Let your customers experience your mission in the first person, instead of showing them a leaflet. The power of storytelling is incredibly strong when used right. It can create an unforgettable bind to any brand and cause buying for life. There is no price tag you can put on a loyal and supportive client. Was this article helpful? Are you considering applying virtual reality in your enterprise? Contact us and we will do our best to help you out!